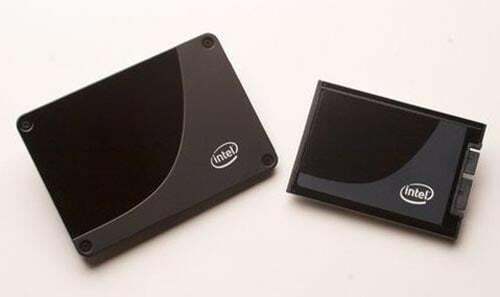 Intel has launched two new energy efficient solid sate drives (SSD) designed to be used in notebooks, the Intel X18-M and X25-M. The X18-M is a 1.8 inch SSD, and the X25-M is a 2.5 inch SSD, both are based on MLC NAND flash chips, and the X25-M is the SSD featured in the HP EliteBook 6930p which we featured on the site earlier. These new drives improve battery life up to 7% which is pretty impressive, and they will come in a range of sizes from 80GB upwards. 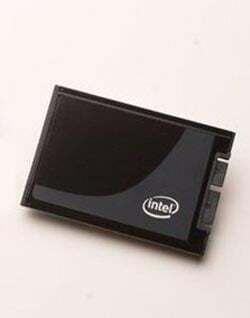 The 80GB version will start at around $595 and there is also expected to be a SATA version available shortly.